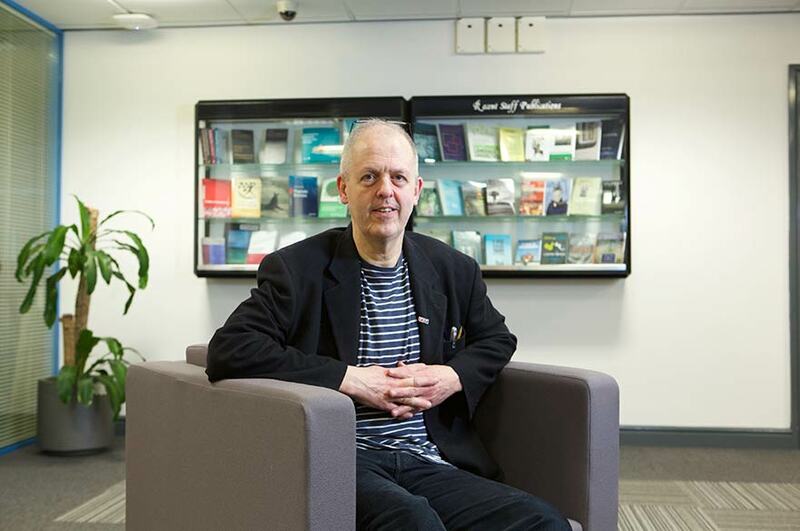 Professor O’Shaughnessy is the research leader for the Communication, Cultural and Media Studies, Library and Information Management Subject Area. He teaches European and American cinema and American television at all levels from first year undergraduate to MA level. He is particularly interested in European (especially French) cinema and the political but also specialises in topics like cinema and globalisation, film and colonialism and other areas. The films of Jean Renoir particularly the committed works and the intersection of politics and style. French cinematic responses to globalisation. He is particular keen to hear from prospective students wishing to work on cinematic responses to the current crisis but is also very open to other proposals around French and European film. For more information on Research Degrees at NTU, visit the Doctoral School. Previously external examiner for French at De Montfort University, Manchester Metropolitan University, Keele University and Newcastle University. Professor O'Shaughnessy regularly presents films to non-university audiences, both in Nottingham and further afield. Professor O'Shaughnessy has also been involved in a range of collaborative projects with colleagues from the USA, France and the UK. Professor O'Shaughnessy was awarded one semester or half-year sabbaticals by the AHRC in 2003-4 and in 2012-13. The 2012-13 award is to support the writing of a study of the films of Laurent Cantet, his current major project. A number of smaller awards for research travel and conference organisation have also been awarded. The crisis before the crisis: reading films by Laurent Cantet and Jean-Pierre and Luc Dardenne through the lens of debt. SubStance, 43 (1) 2014, pp. 82-95. French film and work: the work done by work centered films. Framework: the Journal of Cinema and Media, 53 (1) 2012, pp. 155-171. Breaking the circle: 'Le crime de Monsieur Lange' and the contemporary illegibility of the radical text. South Central Review, 28 (3) 2011, pp. 26-44. Filming work and the work of film. L'Esprit créateur, 3, 2011, pp. 59-73. French film and the new world of work: from the iron to the glass cage. Modern and Contemporary France, 19 (4) 2011, pp. 427-442. La France et la crise, Modern and Contemporary France, 20:2. Reynolds, C. and O'Shaughnessy, M. eds. Professor O'Shaughnessy can offer comment on the French and other responses to the crisis; contemporary European film; contemporary political cinema; and French cinema.